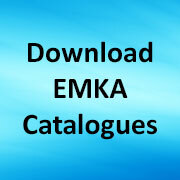 EMKA’s record in delivering high quality hardware for electrical cabinets is second to none so we are delighted to be continuously extending our range focused on the needs of OEMs and specialist panel builders in the electrical distribution and controls industries. In industrial situations where we have identified a need for increasingly rugged and highly sealed specifications, we can offer the full package of highly functional cabinet hardware in line with our philosophy of “Everything but the Enclosure”. 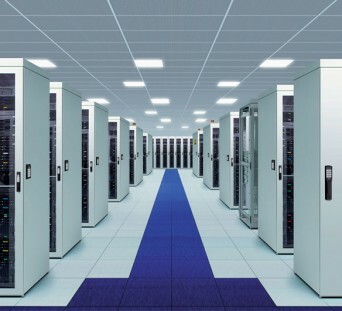 The defining feature of electrical cabinet installations is so often that of space usage where maximum use of internal and door space is at a premium for equipment mounting. The EMKA approach optimises this by reducing the footprint of its swinghandles – or providing for their use externally to the sealing area. A fully modular system provides for single point closure or multi-point, e.g. rod locking mechanisms, whether using swinghandles, traditional T and L handles or even ultra-discrete ¼ turn locks. The modular system enables both zoned locking and specialist key specifications to be easily incorporated. In similar vein the typical electrical cabinet, whether with lay-on or recessed door, generally needs to be easily removed for installation, maintenance or adjustment so whether using bolt-on or weld-on hinges a lift-off facility is available with retained hinge pins. Doors may feature strongly in electrical cabinet specification as they often carry significant equipment, monitoring panels or controls such as pushbuttons – therefore here at EMKA we make provision in our range with small transparent covers up to large glazed windows or instrument frames with extended depth to accommodate access, thus also providing a dual level of access security with both the panel and the door being individually locked. In similar vein we recently took a step forward in enhanced sealing with a service to supply vulcanised sealing gasket frames custom made to size for cabinets – with fully sealed square corners, ready to push fit without the need for trimming or gluing, plus enabling sealing up to IP65 or even IP66 dependent on installation. Share the post "Hardware for electrical cabinets"